When to go to Tunisia? Tunisia is one of the most popular European holiday destinations. It is a beautiful country with an interesting history and a pleasant climate. Here you can combine a beach holiday with extensive sightseeing program. Going to Tunisia, it is worth considering the climatic peculiarities of this country. In principle, you can relax all year round, but if you are attracted to beach holidays, it is best to go in this country from may to July or from September to November. In winter, rains are frequent, and the temperature can drop to 11 degrees, and in July and August in the South, temperatures can reach up to 45-50 degrees. In this heat will not save any air conditioning or sea breeze. In Tunisia, many hotels, however, it is worth noting that the announced star hotels correspond not always, so try to obtain from the tour operator the most accurate information about the place where you want to go. But even cheap hotels do everything possible for the comfort of its guests. The service in the country is indeed at a very high level. If your goal is just to lie in the sun, go to any hotel, choosing stardom and comfort in accordance with the planned vacation costs. But if you want to work out some kind of sport, then need to find out if a hotel has the opportunity for yachting, scuba diving and so on. Be sure to go to at least one of the many tours and tour operators, and local tour Desk. You can go to the Sahara desert, which is the main attraction of Tunisia, and watch the sunrise. Offer of the country and horseback riding on a purebred Arab stallions, you can take a course of thalassotherapy. But the Sahara is worth a visit. The desert is not only endless sand dunes, you will see a fabulous oases, lakes, tropical plants. Discover the cultural heritage of the country. In Tunisia, preserved many ruins of antiquity, temples, fortresses, FORTS, aqueducts, ancient statues. Experienced guides will tell you about the peoples who inhabited these lands, and modern life of Tunisia. By the way, on the territory of this country is legendary Carthage, destroyed by the Romans. And in the South of Tunisia to explore the caves, which was built Berbers. These caves go deep into the earth up to ten metres, and they still live people. Be sure to visit the colorful Oriental Bazaar. The more you will see during your vacation, the more you learn about this wonderful country. One of the most picturesque and attractive from the point of view of climate and the direction of a service system is undoubtedly one of the leading countries in the tourism business in the Mediterranean basin, a region rich in pink flamingos, Jasmine and hibiscus, - Tunisia. To stay left only pleasant memories, drawing up the travel plan should begin with an assessment of the trip conducive climate of the state. To visit the resorts of Tunisia year-round, but if you want to enjoy the warm water of the ocean, tours it is better to choose closer to may. From June to November, there begins the beach season, fans of flaunt in a bikini will surprise not too hot Mediterranean climate, devoid of the stifling heat. Most hotels in Tunisia offer very modern facilities, close to the European class. 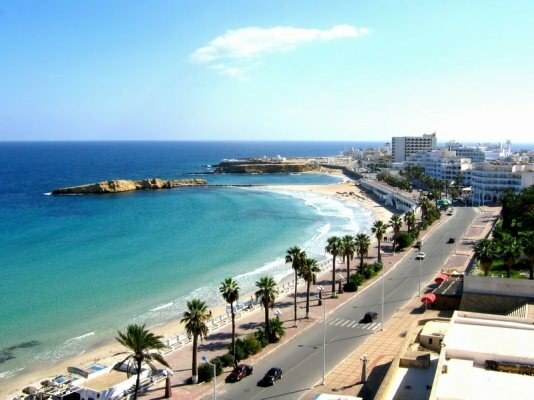 Main concentration of hotels is celebrated in the major cities, such as rich night life in Sousse, quiet, green Hammamet, Magdiya, Monastir. Overall stay in this country is the youth, and favors for family vacations, 3-4-star hotels can boast of the animation, in spite of the hotel at the highest level. It is believed that, coming to an African country, you should not book a room below 4 stars, this will depend on the quality and variety of offered food and alcoholic drinks. If you want to save money on food and eat in restaurants, then it is enough to look at the neighboring hotel cafe, there you will receive very similar to a hotel menu. If you want to treat yourself popular in this country to a beauty treatment – thalassotherapy - it is to be the complexes having on its territory a beauty treatment. With regard to cash, then you can convert absolutely anywhere. And in hotels, and local banks have the same exchange rate. Travel to Tunisia on the bus, in a taxi, whose prices are very affordable and only increase with the onset of night, as well as specially leased car, therefore, going to Tunisia, don't forget to bring your driver's licence, which will indicate that you have reached 21 years of age. When planning trips, remember the hotels offer trips at very inflated prices, tour programs are not many, most rich of them is considered to be a two-day programme of visits to the Sahara with visit of the oases, salt lakes and places of filming of "Star wars". Dream to bring back from Tunisia something worthwhile and memorable, remember the markets and shops of Tunisia - places where there is bargain. Truly good things are not cheaper than in France or Italy. Please note that the antiquities and the national currency is strictly prohibited for export.